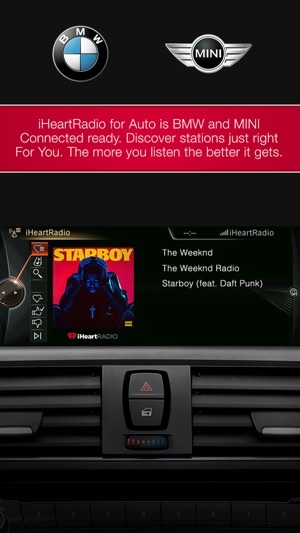 Get the best of iHeartRadio on-the-go with the app specially designed for use in your car, truck or SUV: iHeartRadio for Auto. Stream your favorite Live Radio stations, create Custom Stations inspired by your favorite musical artists, and listen to on-demand Podcasts, featuring episodes from the best in news, sports, and entertainment. 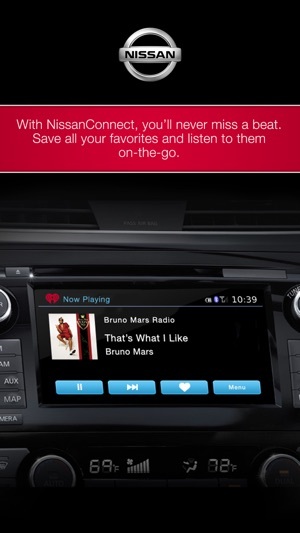 Simply connect iHeartRadio for Auto to your car using Bluetooth Audio, an Auxiliary cable (AUX), or USB to get started. If you own a BMW, Honda, MINI or Nissan vehicle, or have a car stereo from Alpine, JVC, Kenwood or Pioneer, iHeartRadio for Auto has been designed to work with the extended abilities of your radio. 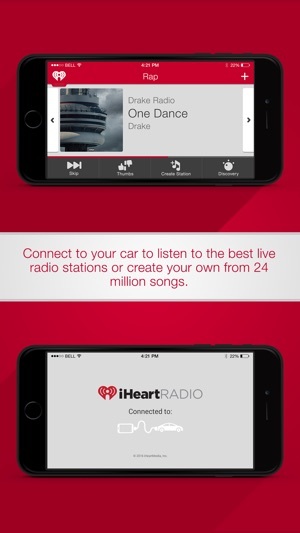 For a full list of supported car stereos, or if you need assistance with connecting your iPhone to your vehicle, please visit http://help.iheartradio.com. • Listen to more than 2,000 of your favorite live radio stations from coast-to-coast including pop, country, hip-hop and R&B, rock, talk, news, comedy, sports, and more. • Browse radio stations by music style and location, then hit the scan button to move from radio station to radio station within a format. • Simply pick a song or artist to create your own commercial-free Custom Station featuring free music from that artist and similar ones. • Choose from our catalog of over 24 million songs and 830,000 artists. Use iHeartRadio's exclusive Discovery Tuner to control how much variety you want in your music. • Take your favorite radio stations and music wherever you go. Log in to iHeartRadio for free through email, Facebook, or Google+ to make iHeartRadio uniquely yours. • Create, save, and share your internet radio stations from wherever you access iHeartRadio. 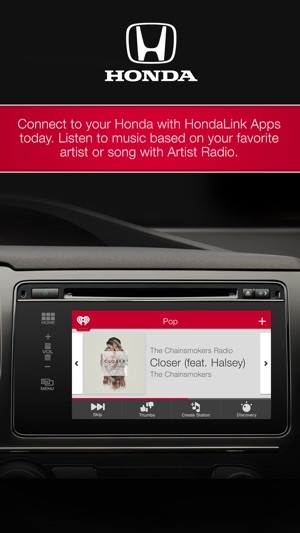 iHeartRadio for Auto, iHeartAuto for short, is enhanced to work with: HondaLink, NissanConnect, Alpine Connect, JVC Receivers, Kenwood eXcelon Receivers, and Pioneer AppRadio. iHeartAuto is also BMW ConnectedDrive and MINI Connected ready. Looking for more iHeartRadio? Download our award-winning mobile app hailed by c|net as "the best streaming radio app." To stay completely up to date, be sure to follow @iHeartRadio on Twitter and Instagram, where you'll always get the latest music news, contests and access to your favorite artists. Thanks for using iHeartRadio for Auto! We've been working hard behind the scenes to make your iHeartAuto experience better. We suggest turning Automatic Updates on in the App Store so you never missing a future update. If something's not working right, you have an idea you'd like to share, or just want to say hello, contact us anytime at facebook.com/iheartradio or help.iheart.com. Yep, this beautiful team of developers keeps on failing, again and again. I gave up on using main app, but friend advised to try this. -horizontal format these “stable geniuses” came with means only one thing-not for car drivers, but if you are a passenger-perfect choice! -app has problems connecting to car via Bluetooth. It fails 50%, and I am generous. -if you are lucky to get connected, be prepare to listen to random stations, it doesn’t remember your last or favorite choice. -and to choose your favorite station, you need to login to main app first, of course. Thank you very much and bye, Felicia! P.S. Dear developers, please don’t contact me asking for private chitchat, I am not interested. This is supposed to be meant for driving, but every time I get in my car, this changes to a horrible rap station. Thumb down, still does it. Is it too much to wish it would remember my last station I was listening to? At least go to my favorites! And in order to find my favorites, I have to either pull over or ram the car in front of me. Epic total fail. Please fire everyone who had anything todo with the development of this app. Or at least send them back to school to learn how to write an app. This app is free and I feel like I have paid too much for it. Very disappointed! Hello, thanks for providing feedback. Shoot over a message to auto@iheartradio.com if you'd like to share your thoughts on how we can make iHeartRadio even better. While I really like the idea behind this app and the different channels you can select there is a huge annoying bug. Namely, for the past several versions you have been unable to skip a song at all on custom channels. It used to work just fine but now the Skip icon in the BMW interface is greyed out and does nothing. Very, very annoying to not be able to skip songs. Hey Gragorin, we're here to help! Shoot over an email to ios@iheartradio.com so we can take a look at what's going on behind the scenes.